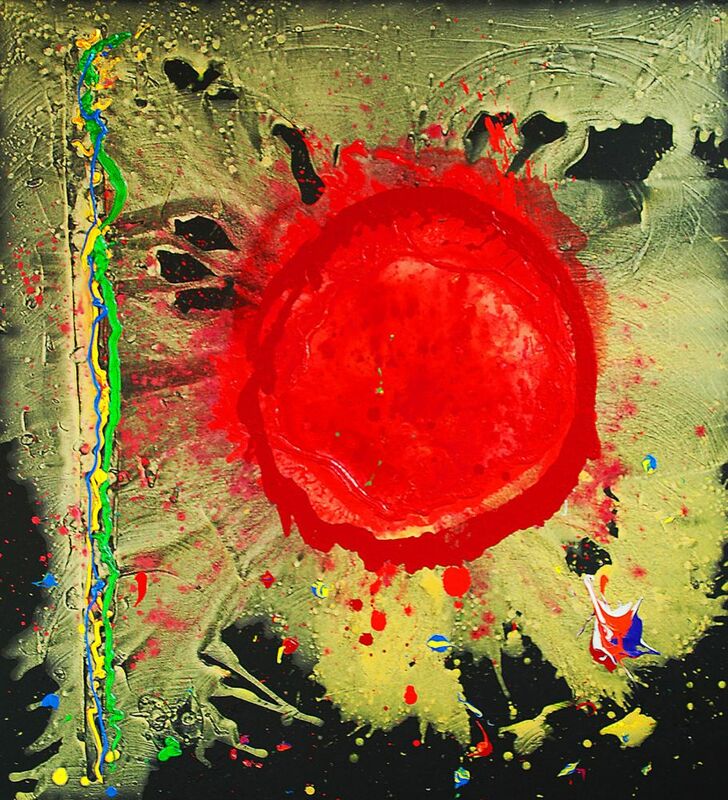 The Stour Gallery - The Stour Gallery is sad to announce the death of John Hoyland RA (1934-2011). The Stour Gallery is sad to announce the death of John Hoyland RA (1934-2011). We have been privileged to sell work by this great artist, who was a leading abstract painter and printmaker. Obituaries have been published in recent days in the Guardian and The Telegraph. Out of respect to John’s family his work is currently not available. 'John Hoyland was every inch a painter. He invested colour, paint and its application with generosity and richness. The paintings stand for nothing but themselves. From his early linear works, through to the great slab pictures of the 1960s to his very latest sun – or moon – burst paintings, his art has warmth and authority. He was highly respected as an artist and his art remains the yardstick by which English painters can measure themselves and their work. His conviviality, his sense of humour and his down-to-earth response to the world masked a depth of human feeling. He had real sensitivity to other people's feelings. He was quite without guile. His loyalty was exceptional. Although I knew him before, I discovered the real John in 1969 when we travelled together to South America as the two representative British artists in the São Paulo Biennale. In his dealings with others, his decency and his integrity shone through. We became fast friends and remained so to the end.